July 8, 2013 by Ken Ward Jr.
One night in November 1981, Roy Conley saw an unusual glow around the electrical center at the small underground coal mine in Knott County where he worked, and he took it as a divine warning. He skipped the next work day at the Adkins Coal Co. mine at Topmost. But with young children to feed and bills to pay, he went back on Dec. 7, 1981 — the day the mine blew up, killing eight men less than an hour into their shift. It was the worst mine disaster in the county’s history. The blast was part of a string of disasters that quickly focused scrutiny on regulators and coal-industry practices. Lawmakers strengthened safety rules, but another 1,518 U.S. miners, including 445 in Kentucky, would die on the job in the next three decades. Whitesburg lawyer Harry M. Caudill’s father lost an arm in an accident at a coal tipple, so Caudill knew well the dangers of mining when he wrote his wrathful indictment of coal’s history in Eastern Kentucky, the book Night Comes to the Cumberlands: A Biography of a Depressed Area. A “shockingly high” number of accidents in the early years of the industry killed and maimed miners in roof falls, explosions, machinery accidents and electrocutions, Caudill wrote in the 1963 book. There had been a federal Bureau of Mines since 1910, but its role was limited to research and investigating accidents. It wasn’t until 1941 that Congress gave federal inspectors the right to go into mines, and those inspectors had no mandatory health and safety standards to enforce until 1952. In November 1968, an explosion at the Consol No. 9 mine in Farmington, W.Va., killed 78 people, and the images of smoke billowing out of the mine shocked the country. The next year, Perkins helped push the toughest mining law in U.S. history through Congress. It increased inspections of underground mines, mandated fines for safety violations, added criminal penalties for willful violations, set a limit on miners’ exposure to coal dust, and created compensation for miners suffering from black lung. 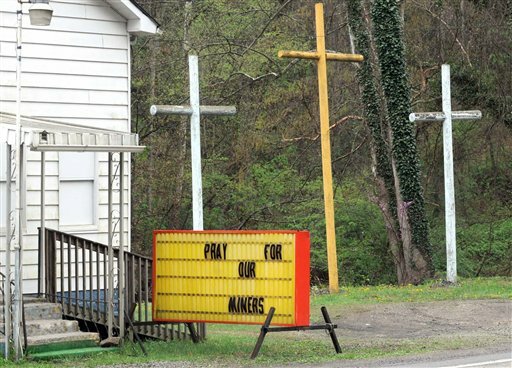 Congress changed the mine act again in 1977, after two blasts in March 1976 killed a total of 26 men, including three federal inspectors, at the Scotia Coal Co. mine in Letcher County. The new requirements included underground mine rescue teams and training for miners. The next year, coal-mining deaths nationwide hit their lowest level of the century, at 106. Safety advocates thought the laws were paying off. Deaths went back up in 1979, however, and by the winter of 1981-82, a string of mine disasters would make clear that many coal companies and miners were breaking the law, and — as Perkins and others would argue — that regulators weren’t doing enough to make them operate safely. Congress intended to eradicate the disease known as black lung with a landmark 1969 law that limited underground coal miners’ exposure to dust. Roger Cook can tell you that didn’t happen, but only if he pauses mid-sentence to take a labored breath. Cook, 57, has black lung even though he started his 32 years as an underground miner in 1978, well after the new standards were put in place. He is among a growing number of Eastern Kentucky miners afflicted in recent years with black lung, reversing a decades-long decline of the torturous, incurable disease. The Letcher County man had to quit the mining job he loved in April 2010 when he was diagnosed with black lung, which scars the lungs, impairs breathing and often leads to premature death. Cook now relies on an oxygen tank to help him breathe 24 hours a day, and he still gets short of breath even while sitting. He once was an avid hunter and fisherman, but about the best he can do these days is pull close in his pickup truck to watch his grandchildren fish. “I won’t last that long if I don’t get a transplant,” Cook said. Yes, I have seen it all before … First, the disaster. Then the weeping. Then the outrage. And we are all too familiar with what comes next. After a few weeks, when the cameras are gone, when the ink on the editorials has dried, everything returns to business as usual. The health and the safety of America’s coal miners, the men and women upon whom the Nation depends so much, is once again forgotten until the next disaster. If political leaders really cared all that much about coal miners, wouldn’t they make the health and safety of those miners a top matter for discussion during their campaigns?